Has your hair not been looking or feeling its best lately? With winter slowly rolling in, it seems my skin is not the only victim of drier times. 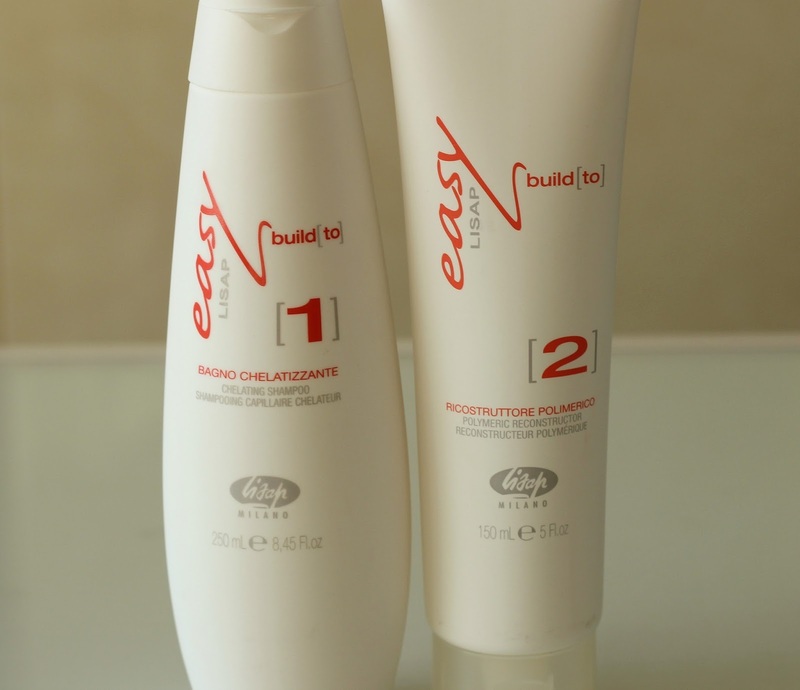 My hair has been looking quite sad for the last few weeks and in need of a good set of conditioning products so the opportunity to try the Lisap Easy Build Hair Reconstruction System*, described as "Botox for Hair" because of its anti-aging effect, could not have come at a better time! 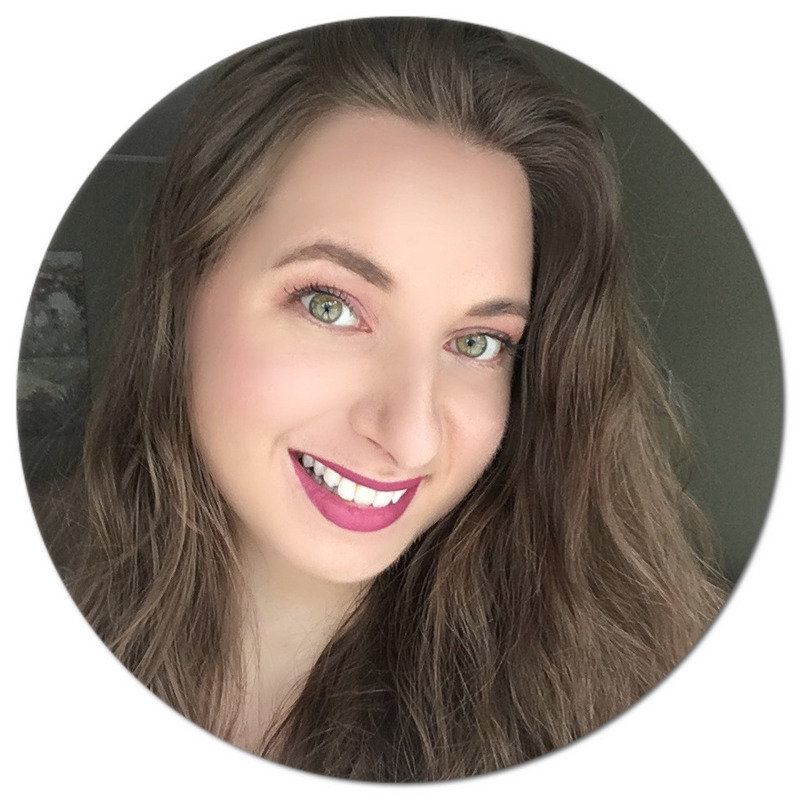 I first heard of this Italian brand from fellow blogger friend Cosmetic Proof not too long ago, so I was really excited to put some of their products to the test. Are these as good as they sound? The Lisap Easy Build Reconstruction System includes four products: a Chelating Shampoo, Polymeric Reconstructor, Moisturizing Microemulsion and Revitalizing Spray. I will start off by saying that these all smell very strongly of what I would describe as powdery vanilla - so potent that I can actually smell it through the packaging even with the caps shut! Thankfully the scent appeals to me, definitely one of those luxurious scents that you can expect from salon hair products. These products are conveniently numbered 1 to 4 so that you don't get confused in the process. The Chelating Shampoo is meant to not only clean your hair but strengthen it too. It almost acts as a detoxifier, extracting mineral deposits that build up in your strands and that often lead to damage. Containing active ingredients such as amino acids, vitamins and keratin, I give my scalp a good massage and then work the shampoo through my ends and let it do its magic for a good few minutes before rinsing out and moving on to step two. The Polymeric Reconstructor will strengthen your now squeaky clean hair with the help of creatine, wheat amino acids and soya proteins and supply it with intense glossiness. This product functions best with heat, so it is recommended to let it sit for 10 minutes under a moist source of heat such as a towel or turban. Rinsing it off, my hair already feels unbelievably smooth just halfway through the system! 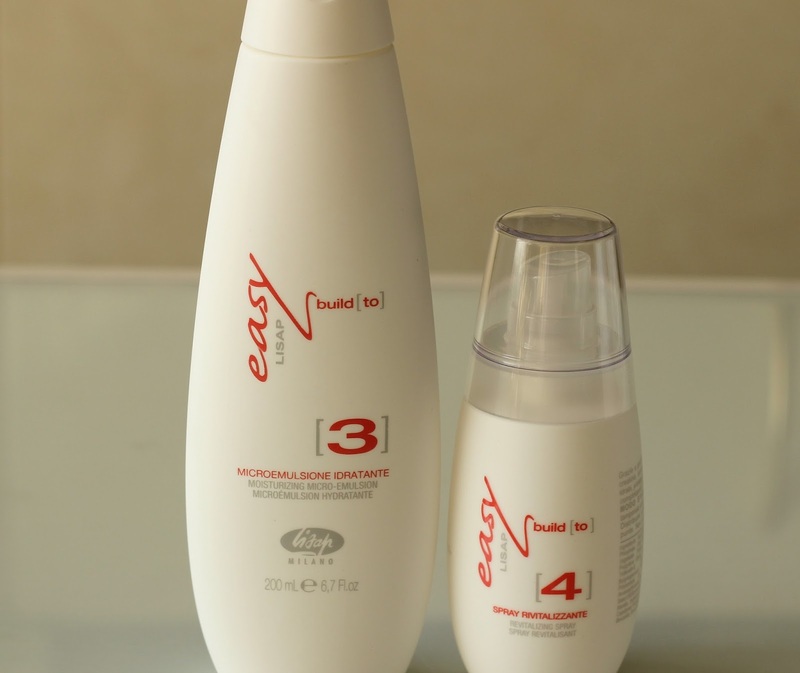 If I am short on time I stop here, however for super intense, moisturized hair I will keep going with step three. The Moisturizing Emulsion is formulated with red and black marine algae for deep penetration while supplying hair with volume all without weighing it down (which deep conditioning products tend to do). When I take the extra time to leave this in my hair for a few minutes, I notice there is quite a bit more bounce to my wavy hair and it is practically frizz free. Great stuff! Lastly, the Revitalizing Spray is a leave-in mist to keep your ends strong and prevent them from splitting. It also acts as a protectant thanks to its heat resistant ingredients, creatine and more proteins, making it perfect before blow drying and styling using hot tools. I wash my hair every 2-3 days and my hair keeps smelling amazing between washes since the powdery scent really lingers. I would highly recommend this system if you love having fragrant hair on top of products that will provide very deep conditioning to your strands. The Lisap Easy Build Collection retails for roughly C$67.00. To find a salon that carries it near you, you can call 1-800-667-5954 or visit Lisap Canada online or on their Facebook page. What is the best deep conditioning treatment you've ever tried? Awww, thank you for the mention Natalie! I am so sad that I didn't get a chance to try out this system. The courier to my place was so bad and the package has been in transit since December...we've given up now, but it looked like 4 really superb products! Of course I had to mention you! That is so sad about the courier situation, they really are great!